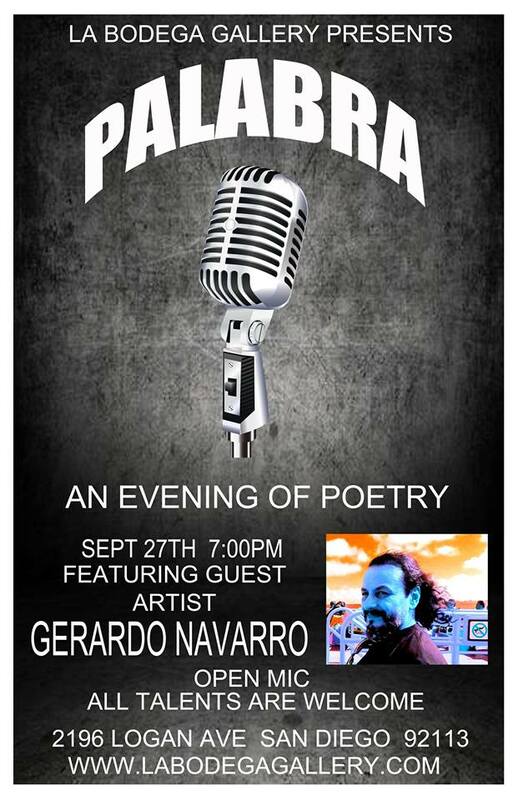 Home / Event / Gerardo Navarro Nemónico Features at Palabra! Gerardo Navarro, poet, philosopher, performer, artist. Born in Chula Vista, California, 1963. Educated on both sides of the border. Since the early 80s Navarro is a pioneer in border art, spoken word, and multimedia performance. From 1992 to 1995 he performed and toured “Borders of the Mind” with his multimedia band Publi(k)ulture. In 2008 he was awarded the State Award of Baja California for his play “Yonke Humano”; in 2009, wins the 1st Grand Slam Poetry contest organized by the International Book Fair of Guadalajara. He is also a winner in the First Oral Poetry Slam of Barcelona, Kosmopolis 2006. In 2015, he debuts as spoken lyricist for the band “Border Beat Fusion”. His publications include: “Poetika Transgotika” (2012), a book of songs; “Tráfico de Pensamientos, caosofía de la red social” (2013), a 500 page collection of aphorisms on the art of living; the poetry selection “La conspiración de los noctámbulos” (2013); “Yo, sin tiempo”, reflections on time, and “Tecnohipnosis” (2014), an essay/lecture on the effects of technology on mind and body; the experimental novel “Transhumano, tiempo y memoria artificial” (2016); and the poetic monologue “REM, autopsy of a dream” (2017). 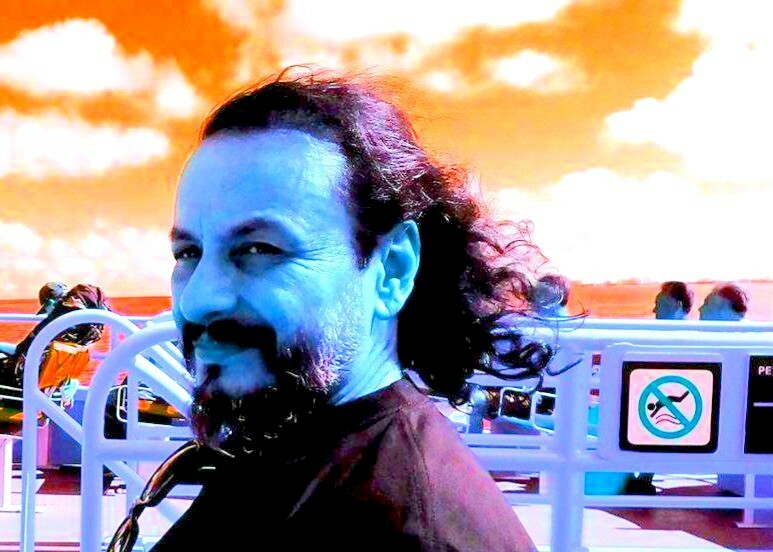 Navarro performed online his poetry for the “Virtual Meeting of Poetry, Contemporary Cali 2014”, Colombia, and in 2018, his poem, “We trust” was included in the National Beat Poetry Festival 10 year Anthology book BEAT-itude. Most recently Navarro has been experimenting with alternatives to the book, and designed and launched “Caosofía”, an app on transborder philosophy that can be download for free from Google Play and App Store (Spanish).